Yes! There are many edible flowers that make delicious, flavourful, nutritious and PRETTY additions to your meals. Plus, they’re wildly easy to grow, AND attract pollinators (bees, butterflies, hummingbirds…), which we NEED in order to grow vegetables like tomatoes, zucchini, squash etc. There are so many to choose from, but I’ve come up with my personal top 6, which are all quite easy to grow organically from seed. Eat flowers only when you are positive that they are edible. Some flowers look VERY similar. Be sure to have a positive ID first. If you grew them yourself, this is basically fool-proof. Only eat flowers that were grown organically. Many plants you purchase from retailers have been sprayed with pesticides. Especially the ones that look REALLY nice. Do not eat roadside flowers or those picked in public parks. Both may have been treated with pesticide or herbicide, and roadside flowers may be polluted by car exhaust. For most flowers, only consume the petals (exceptions do apply). If in doubt that the flower is edible, play it safe and skip it. Eat flowers you know to be consumable — if you are uncertain, consult a reference book on edible flowers and plants. Eat flowers you have grown yourself, or know to be safe for consumption. Flowers from the florist or nursery have probably been treated with pesticides or other chemicals. If you suffer from allergies, introduce edible flowers gradually, as they may exacerbate allergies. To keep flowers fresh, place them on moist paper towels and refrigerate in an airtight container. Some will last up to 10 days this way. Ice water can revitalize limp flowers. Annual. This is a popular edible flower that takes well to containers. 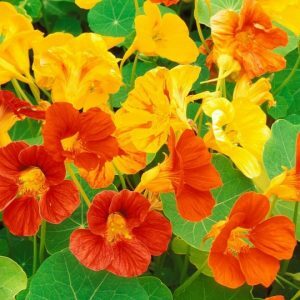 Nasturtiums are available in trailing or upright varieties and their colour range is primarily reminiscent of a brilliant sunset. The cool thing about nasturtiums is that all parts of a nasturtium are edible: petals, leaves, and seeds. They have a peppery, spicy flavor; a cross between watercress and a radish. When the flowers go to seed, the seed pod is a marvel of sweet and spicy. You can stuff flowers, add leaves to salads, pickle buds like capers, and garnish to your heart’s content. Annual. 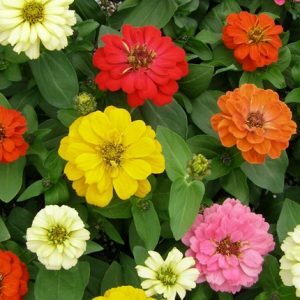 Not much flavour here, but zinnias are a “cut and come again” flower, meaning that the more you harvest them, the more they grow back and produce more flowers, so experiment! Use the petals (remove the seeds) for a beautiful, colourful addition to salads, summer drinks or desserts. Perennial. This tough ornamental is a favorite in landscapes because it is a prolific and ornamental bloomer. 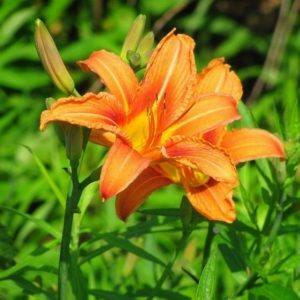 Daylilies come in numerous shades of yellow, red, orange, purple and white. They have a mild vegetable flavor similar to asparagus. Remove the bitter white base of the bloom before you eat them. Also please be sure that you are tasting a daylily (hemerocallis), as other lilies can be toxic and can make you quite sick. Annual. 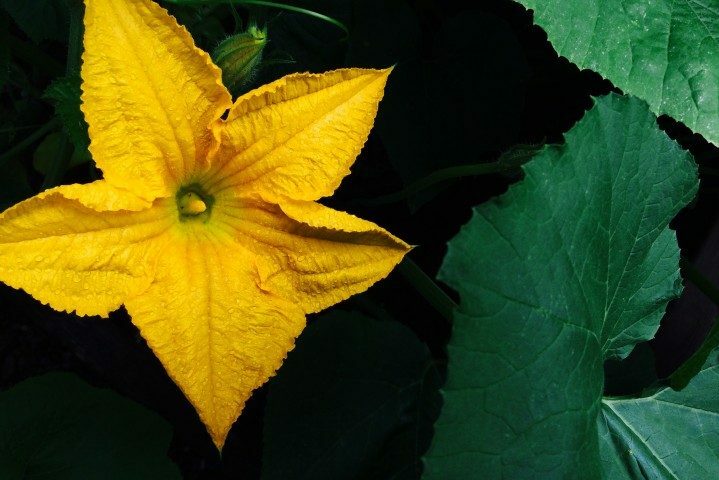 The blooms of all types of squash are edible, but the most popular ones come from the male flower of the zucchini and crookneck squash. 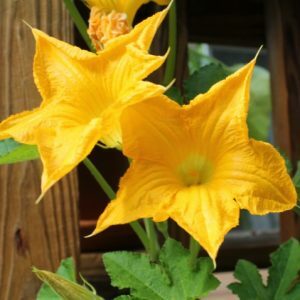 The blooms have a mild squash taste and can be eaten raw in a salad or stuffed with ricotta and baked. Perennial. Marigolds are eaten as petals or leaves, raw or blanched, fresh or dry, sweet or savory. Flavours range from spicy to bitter, tangy to peppery. 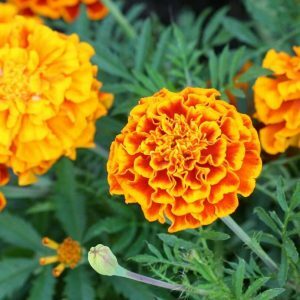 Their sharp taste resembles saffron (also known as “Poor Mans Saffron”) To prepare marigolds: Pull entire petals from the stem, and as you hold them firmly in your hand, with scissors cut off the white (or pale greenish) “heels,” as this could give a bitter taste if not removed. So go crrrray cray, have some fun, and add some flowers to your garden and your diet this summer! Be well. 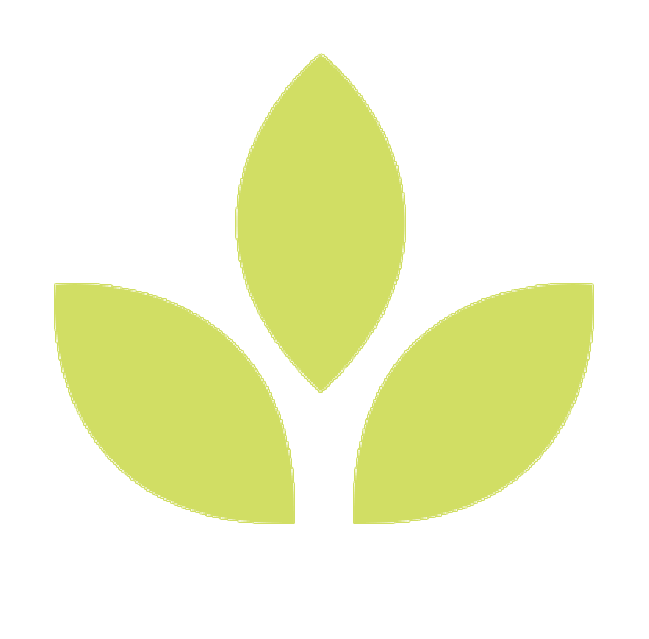 New to the garden world? Check out my beginner’s guide to growing your own food!